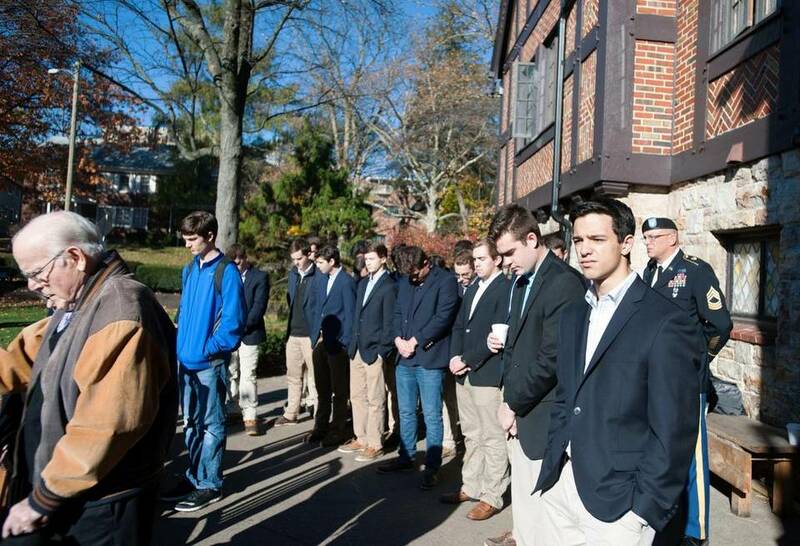 This past Saturday, November 12, the Theta Chapter of Sigma Pi Fraternity honored its brothers who served in World War II. 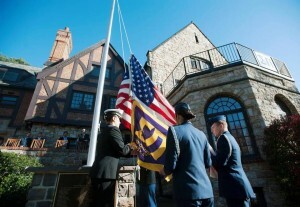 The Wilford Beisel Memorial Flagpole Dedication held by the Fraternity, is in respect for the 93 brothers who served in World War II. 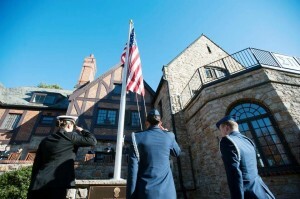 The NROTC Unit helped put together a joint service Color Guard to hoist the flag in a professional manner. 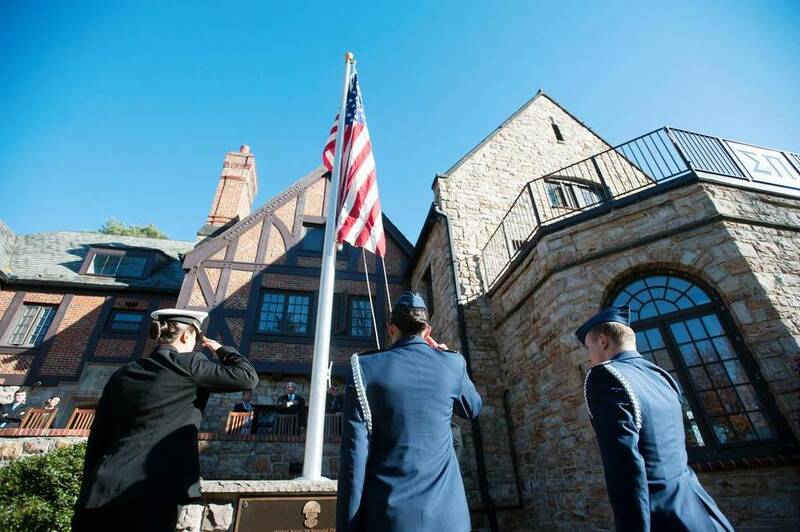 It is great to see other parts of the community showing their support for Veterans, and the NROTC Battalion is proud to be able to provide the necessary logistics to make it happen. 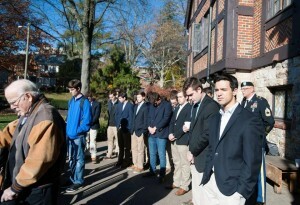 More can be found about the event from the Center Daily Times’ article here. Here is a letter showing the gratitude of the Sigma Pi Fraternity to us for volunteering for this ceremony. On behalf of Theta Chapter of Sigma Pi Fraternity I want to express our great appreciation for your performance as the Penn State Joint ROTC Color Guard at our dedication ceremony of the Sigma Pi WW2 Memorial Flagpole on 12 November 2016. As I mentioned in my address, you were the centerpiece of the ceremony. Your professionalism provided the necessary elan crucial to such a military event. The bugle calls you brought along added further to creating the proper martial atmosphere. Thank you for a job well done. As a season ticket holder and 1970 graduate of Penn State’s Army ROTC program, I would also like to express how proud I am of your troop and their posting of the Colors before every home football game at Beaver Stadium. Simply put – you’re “outstanding”. Keep up the good work. Good luck with your academic studies and future military/naval careers. And always remember: WE ARE . . . .(and always will be) PENN STATE ! This entry was posted in Battalion. Bookmark the permalink.